Publicado por Tobías Feijoo 3.4.07 10:44 p. m.
Si hace algún tiempo hablamos de Look at me, un blog que recogía fotos perdidas, hoy os presento Shorpy. Esta vez es un blog que muestra fotos de hace 100 años (aunque las hay más recientes). Un interesante paseo por la historia mediante las fotografías. Shorpy Higginbotham. Fotografía de Lewis Wickes Hine. 1910. Shorpy.com is the 100-year-old photography blog that brings our ancestors back, at least to the desktop. What do they have to tell us? 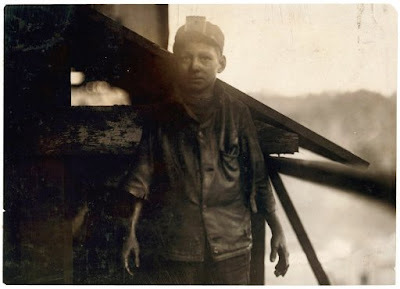 The site is named after Shorpy Higginbotham, a boy who worked in an Alabama coal mine near the turn of the century.